Having worked in retail for nearly thirty years I have found that more people work in the store than just the people directly employed by the store. My encounters have included working with various external vendors. I have worked with representatives for jewelry and accessory servicing, cosmetic reps, snack vendors and even cleaning vendors. I have checked in soft drink vendors and food vendors through our loading dock receiving procedures. Just like our store employees, the vast majority of vendors who service stores are honest and work hard to satisfy their clients. Unfortunately, just as there are in stores there are bad apples for vendors and they can cause shortage in stores through theft, fraud and even paperwork errors. The good news for retailers is that in the big scheme of things vendor theft generally accounts for the smallest amount of shortage. According to the National Retail Federation 2018 National Retail Security Survey, vendor fraud or error accounted for 5.4% of retail shrinkage in 2017 (pg. 5). That said it is still a source of shortage that can be controlled thereby saving stores potentially thousands of dollars a year. So how does vendor theft and fraud happen? Just like any other theft it requires the person committing the crime to have the opportunity to steal, the means to steal an item and the perceived risk of being caught or punished. Just like a three-legged stool, remove one leg and the whole thing falls over. You cannot control whether or not someone has a desire to steal but you do have control over the conditions that make theft appealing. Depending on what the vendor is doing in the store can impact how they might steal from you. 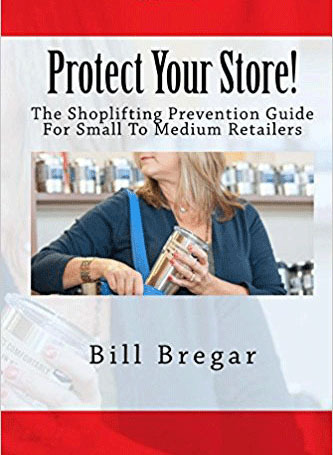 Having controls in place in the store and requiring vendors to follow those procedures or controls can influence whether that person decides to attempt to steal. For example, many stores have vendor log books and vendors are expected to sign in when they enter the store. They may even be issued temporary name badges once they sign in. When someone has to register when they enter a building there is a sense of accountability, anonymity is lost. The type of vendor can also play a part in how theft or fraud transpires. I have seen cosmetic vendors in stores with large satchel purses and bags. Their paperwork and checklists are stored in the bags but they also make great hiding places to conceal merchandise if they are stealing. A store should have the same requirements for vendors as they have for their own employees. A vendor should be required to have their bags or packages checked before they leave following a visit. A food or beverage vendor may have empty boxes broken down that they are carting out for reuse. An employee of the store should be inspecting between the boxes to ensure no merchandise has been concealed between the layers. A vendor should also never be throwing out their own trash. Store compactors should always be locked and only a manager or store owner should have access to it. The manager should be the one to inspect vendor trash and throw it away as they look for empty packages that could indicate a theft took place. 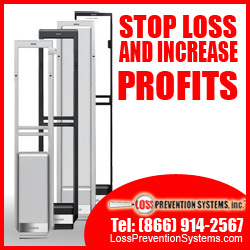 All store entrances should be protected with electronic article surveillance pedestals. This serves as a deterrent to vendors who may be reluctant to try to walk out with merchandise that might cause an alarm to sound. There are many businesses which set up pedestals at the front entrances and even at employee entrances but neglect to place them at vendor service doors. If a vendor has thoughts of stealing they are looking at the anti-theft strategies and will take notice of unprotected access points. Vendor supplied merchandise should also be detail checked in. Validating what an invoice says is being delivered and billed to a store and what is actually received are important steps in the vendor process. It is possible for a vendor to short an order accidentally but that still counts towards the shortage for the store. A driver can also intentionally short an order if they know the merchandise is not detail checked in. The product that is not brought in can then be sold on the side and the profits pocketed. As I stated in the beginning there are very few dishonest vendors but they do exist. Build strong partnerships with them but remember that some may try to take advantage of you. Make your vendor partners follow the same guidelines that your employees follow. Be clear from the beginning and you will run into few difficulties and you will have a relationship that fosters sales for both parties. Our Magazine is doing Interviews with retailers about how they address loss in their stores. Please click here to participate. I Want Shoplifters To Steal From My Store!